Hello, Amazon? Are you there? If ever there was a moment for an international retailing behemoth to pick up a British store chain, this is it. While Christmas trading didn’t turn out to be the bloodbath that many, including myself, had feared, valuations remain in the doldrums. The FTSE 350 General Retailers Index has bounced since the end of December, as the big store groups avoided nasty profit warnings. But even so, it is down about 20 per cent from its 2018 high. A weaker pound is also helpful. Within this, there are some individual horror stories. A prime example is Asos, the purveyor of playsuits to millennial shoppers, which delivered a severe earnings downgrade in December. Amazon.com has long struggled to crack fashion, and snapping up Asos would solve this problem in one fell swoop. And given that its enterprise value has dropped from more than £6 billion (Dh28.62 billion) in March 2018 to just £2.5 billion, the company has now become as affordable as its clothes. Amazon’s market capitalisation of about $800 billion makes buying Asos the equivalent of popping a cheap satin miniskirt in its shopping basket — even including a takeover premium. Then there’s grocery. Amazon’s $13.6 billion purchase of Whole Foods only gave it a tiny UK presence. Bulking up in Britain could be possible if the internet giant looked to emulate that 2017 deal by bolstering its physical presence and its online grocery business, Amazon Fresh. Although the listed supermarkets’ valuations have also recovered recently, they are still lower than six months ago. Buying Tesco, Britain’s biggest supermarket, would transform Amazon’s grocery business, giving it massive scale and a food supply chain capable of handling fresh produce across the UK. The smaller players could also be suitable. Amazon already sells Wm Morrison Supermarkets Plc products, so a deal would be a matter of expanding that link. Meanwhile, if J Sainsbury’s £7 billion purchase of Walmart’s Asda collapses it would be vulnerable — and appealing, given that it has both a food business and the non-food Argos arm. There are question marks. 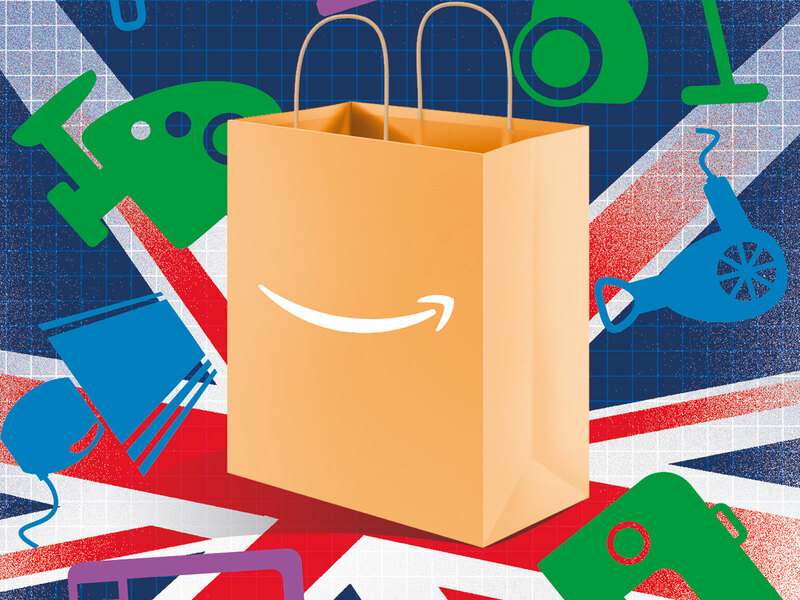 With Tesco, Amazon would get around 3,000 UK stores serving a broad range of customers, not just those affluent consumers who might subscribe to Amazon Prime. Buying either it or Sainsbury would also spark competition concerns. Although Amazon is still small in food, both potential targets have big non-food businesses that regulators would need to scrutinise. Still, there is another potential target that stands out: Marks & Spencer Group. It offers fresh food and is well known for its private label products, such as pre-prepared meals and indulgent desserts. It also brings a clothing arm. While the brand has struggled to strike the right note with customers, there are signs of improvement, and there is no denying that even with its travails M&S has some solid apparel skills. Amazon need not be the only American giant to get involved. Atlanta-based Home Depot could find an opportunity in Kingfisher. The home-improvement chain’s five-year plan to lift annual profit has so far delivered little benefit to investors — the shares are down almost a third since chief executive officer Veronique Laury unveiled her strategy in January 2016. True, Home Depot is focused solely on North America right now. And any international predator might be put off by the recent experience of Australia’s Wesfarmers, which botched the takeover of Britain’s Homebase. But everything has a price. And if Kingfisher’s valuation continues to slide, then a muscular rival might just be tempted. And let’s not leave bling behind. With Tapestry and Capri Holdings seeking to build conglomerates, any failure to reignite sales at Burberry Group could put the British luxury brand on their shopping lists. The hurdle to any of these scenarios is that even with the slump in share prices, it would still take a brave soul to buy a British retailer right now. It’s not just because the rapid migration of sales online diminishes the allure of bricks and mortar. The UK’s exit from the European Union is fast approaching and growing ever more chaotic, so consumer sentiment could get worse before it gets better. What’s more, a divorce without a deal could spell problems not just for confidence but for everything from supply chains to dealing with panic buying. But if Britain does manage to extricate itself from Europe without widespread chaos, then there would likely be relief among consumers, freeing pent-up demand, and boosting sales and valuations. So for the courageous it could be a case of buy now, while stocks last.